A black beauty. 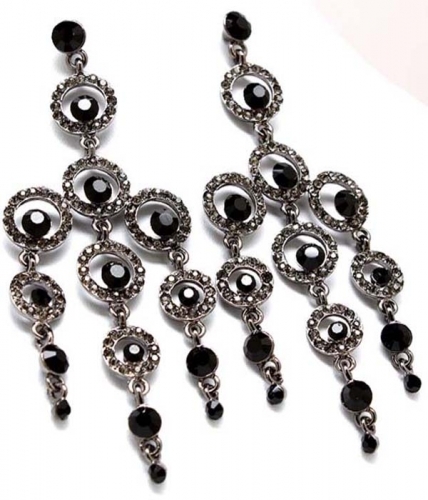 The Evelyn Chandelier Earrings reminisce a 1920s Art Deco style adorned with black and gunmetal crystal stones. Wear them with all black everything.Shop today from one of Australia's favorite jewellery shops.